Interval International is a timeshare exchange company with locations around the world offering members the ability to exchange their timeshare for time at another location. Over recent years many timeshare owners have been the subject of mis-selling practices and find themselves wanting to get out of their timeshare agreements. However, after the major court rulings of 2015, timeshare contracts like the ones that Interval International members have could be entitled to a full refund. If the contract with the timeshare resort was sold “in perpetuity” or you were pressured into a contract with little knowledge of the implications then you can claim against the resort on the grounds of mis-selling. If you believe you had a timeshare contract mis-sold to you by the timeshare resort, please contact one of our timeshare release experts at Mercantile Claims or fill in the form below. 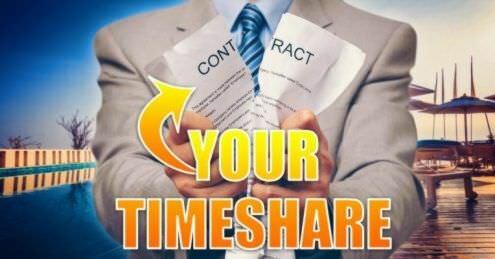 Let Us Help You With Your Interval International Timeshare Termination & Claims Today! Our team here at Mercantile Claims are always on hand to help you with any issues, concerns or questions you have regarding your timeshare contract. Below are some general queries received from Interval customers and some reviews and comments from people who have been interested in timeshare exchange using Interval International. If you have a more specific question please contact our team of experts and we will respond with an answer as soon as possible. Where is Interval Leisure Group? How does Timeshare Exchange Work? An internal exchange occurs when you relinquish a week at your home resort for another at the same resort, or at another resort with some connection to your home resort. If you want to vacation at your home resort, but not during the week you own, a type of internal exchange called an alternate exchange may be possible if space is available. 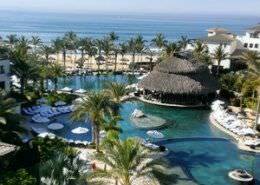 Some resorts handle such arrangements themselves, informally and without charge, as a courtesy to their owners. Others have a formal alternate-exchange procedure that requires payment of an administrative fee. Still others refer alternate-exchange requests to their exchange company, which processes them and charges the appropriate exchange fee. The vast majority of exchanges take place through one of the two major exchange companies, Interval International and Resort Condominiums International. Each publishes a resort directory, has a Web site where exchanges can be arranged electronically, and employs vacation advisors stationed in call centers to answer free-phone telephone calls from members. How many Interval International Resorts are there? 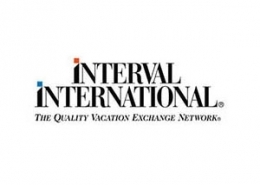 There are currently over 3000 resorts in the Interval International Exchange network covering 80 countries. No Interval International is not a resort. It is an exchange company where members can organise exchanges of timeshare weeks with other members, therefore, securing vacation time in other countries. What is an Interval International Retrade? Retrades make it possible ( for the payment of an additional fee) to able to exchange your confirmed reservation up to three additional times. This offers more flexibility when looking to exchange your timeshare weeks. If you use your credit card to pay your annual membership fee, you are automatically enrolled in their “Automatic Renewal OPTION,” which means, it is NOT an option. They will draw the fee off your credit card a FULL MONTH before the membership expires, and will send NO NOTICE that they are doing it. You just see it on your card statement. This company could not care less about customers. Great Info! My wife and I recently acquired my in-laws timeshare at Mystic Dunes near Orlando, Florida. 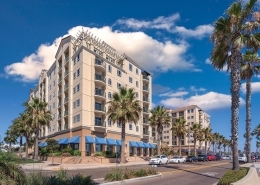 It is part of Diamond Resorts and we own a deeded week for a 3 bedroom lock out/off unit during the Platinum/High Season. Diamond said that we could exchange our deed for their “Club Points”. In exchange, we would trade our week for 6500 points for a “Small Fee”. I looked into what 6500 points would give us if we ever wanted to visit our home resort and it was barely enough for a 1 bedroom unit during their Moderate Season. I said no thanks and signed up with Interval. 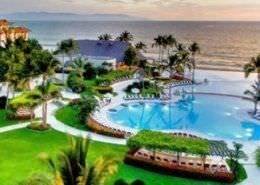 When the timeshare belonged to my in laws they belonged to Interval and we have used a week every year with my in laws exchanging for different resorts/ We have always enjoyed our stay with the different resorts that they are affiliated with. Maybe it was because we used a 3 bedroom unit with a high demand week. I feel you get what you put into…..same quality and quantity for the same. 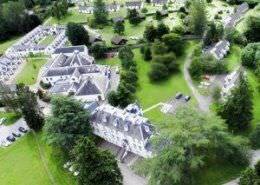 This is for anyone involved with Interval or Marriott timeshares association with interval. 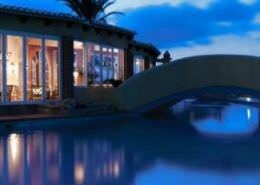 This is the biggest scam going and I am quite surprised and disappointed because it wasn’t this way when I first became involved with Marriotts relationship with Interval 15 years ago, I purchased a timeshare thru Marriott because of their reputation. The timeshare has been paid for long ago but for everyone to make money, it has become more and more difficult to trade your timeshare or go anywhere without INTERVAL”s involvement. Hence, not only are there fees involved with a timeshare going up but interval has made it more difficult and added more “fine print” items to make it more difficult and COSTLY to vacation thru them. even if it doesn’t involve a timeshare. I recently compared a vacation stay using interval and all the conditions and booking fees with planning a vacation on my own. Although the place we stayed was not a resort per say, it beautiful and had everything we wanted and I came out cheaper. With interval you can try to book a year out and still not get the location you want thru them. I am a busy person with a family but I finally decided I would put it out there and if you still want to go with Interval you have been warned; I sum them up as a corporate “bait and switch” company. I know, I am a retired law enforcement officer. It’s a game they play. More and more this is looking like a scam to me! No, I would not recommend you invest in either Interval International or RCI. We spent almost $10,000 per timeshare program – converting our resort to points so that we could swap all over the world. We were given this big pitch of how easy it is to swap and how much value we can get for the points but this is misleading and bogus. In both timeshare programs, we are seeing over and over again that there is either limited or no availability for exchanges with our points. I have been trying since June 2014 to do an exchange for Thailand – nothing is available for December 2014. Yet on getaways in both programs, there is availability. Why aren’t these places offered for exchange? It is like money is taken in advance from members and then we are expected to pay thousands more to take the vacation we want. More and more this is looking like a scam to me! No don’t invest and please pass this on to your friends! We are very sorry we wasted our money on these scammers. All in all, a very poor place, and lousy service. My wife and I had a week at the Aloha Gardens in Marbella Spain, as part of a 10th anniversary vacation and wedding vow renewal. The staff was rude, the place needed a paint job and update, there was no shuttle to town and the beach- a $20 cab ride round trip, more on weekends- and we had not only mold in the bathroom and a massive ant colony in and outside our bedroom, but a 4 hour wait when we got here early, rather than simply being given an empty room that was not our original, which we made clear was fine with us. All in all, a very poor place, and lousy service. 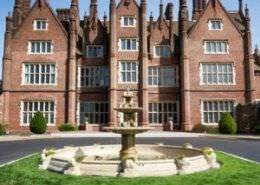 If I get any money back for having left for a better place elsewhere, I will be surprised! Simply put - if you deposit junk, your available inventory will be the same. Availability with Interval or any other Timeshare broker is based on what you deposit. 99% of the reason you’re not getting what you want is based on the popularity and desirability of what you are depositing into Interval. Simply put – if you deposit junk, your available inventory will be the same. The other issue that folks are experiencing is based on new ownership programs. One example would be Marriott new points based ownership. This program is attractive to members as they no longer own a deeded property, but instead have access to Marriott’s portfolio anywhere. The more you pay, the better chance you have at getting what you want. As a result, the inventory that was once available on Interval has slimmed down, due to new programs with most all timeshares. Back to the primary reason – if you deposit junk, your available inventory will reflect the same. If you have the choice to use a different exchange company I implore you to do so. I can only tell you that the very first time we used Interval to book our exchange the agent booked us at the wrong resort and it ended up costing us over three thousand dollars! They moved us to another place but we had to pay for the 3 days it took for them to work out what to do with the resort we expected to be at. They refused to cover the cost of the time we were there and sent us to another place that was infested with cockroaches. If you have the choice to use a different exchange company I implore you to do so. Also, look at available exchanges in major cities and you will see there are very few and most are located miles out of the city. We are getting rid of our timeshare and cancelling our Interval Membership ASAP!